Frank Keller is founder/CEO of Kel Executive Services (www.kelsecurity.com), a security consulting firm specializing in music festivals, and of Alpha & Omega Mounted Patrol (www.mountedpatrol.com), the largest private mounted patrol firm in North America. Both are leaders in festival security providing public safety to the world’s largest events (US, Europe and Canada). The firms’ clients have included Bonnaroo, Phish, Outside Lands, Coachella, Stagecoach, MysteryLand, TomorrowWorld, Pemberton, and Electric Forest. In addition to music festivals, A&O/KES clients include shopping malls, airports, business districts (The Woodlands, Texas), amphitheaters, arenas, and sports events. 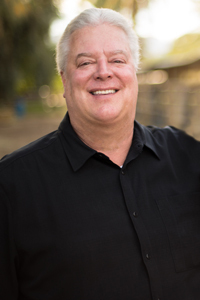 Keller studied criminal justice at New Mexico State University and is a graduate of the International Association of Venue Managers’ inaugural Academy for Venue Safety & Security. Additionally, he completed certification at IAVM’s initial conference on handling severe weather emergencies at the National Weather Center in Norman, Oklahoma. He was subsequently certified in Norman by the Event Safety Alliance as a National Weather Service SKYWARN Storm Spotter.